and September 16 at The Woodlands Center, main lobby. NOTE: Rings ordered after August 1, 2019 will be held for the Fall 2019 Ceremony. Each SHSU class ring spends the night at the Sam Houston Memorial Museum in Sam Houston's historic home on the eve of the ceremony. If a student is not able to participate in the ceremony, their ring may be picked up at the Office of Alumni Relations located in the John R. Ragsdale Visitor & Alumni Center on the day following the ceremony or the ring may be direct shipped to the student after the ceremony. Each gold ring symbolically captures the uniqueness of SHSU. 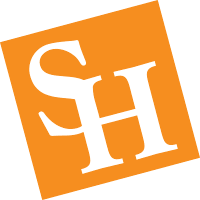 The top of the ring features "SH" above a star and surrounded by the words, "Sam Houston State University." Students may select diamonds to highlight the top of the ring. One side of the ring displays Austin Hall with "SHSU" below, and the other side shows a high-contrast image of the statue of General Sam Houston with the founding year of "1879" below and the class year to the right of Sam Houston. Only class years 2003 and forward will be displayed.Cast into the inside of the ring is the word "Honor." When Sam Houston joined the U.S. Army in 1813, Elizabeth Houston (Sam's mother) understood her son's decision. She called Sam to her side and handed him a musket saying "never disgrace it: for remember I had rather all my sons should fill one honorable grave, than one of them should turn his back to save his life." She told him to always remember, "while the door to my cottage is open to brave men, it is eternally shut to cowards." Elizabeth Houston placed a small gold band on his finger with a one-word inscription - HONOR.Juniors and seniors wear the ring with the school name facing them. Upon the granting of degrees at Commencement, graduates turn the ring around, with the name facing outward. This symbolizes that the graduate is now ready to face the world.The inside of the ring may be personalized by engraving name, initials, or graduation year, up to 18 characters.Balfour, the ring supplier, offers several choices of gold and non-precious metals. Please contact Balfour for availability of metals not listed in this brochure. Balfour provides an interest-free monthly installment plan and guarantees your satisfaction. You purchase is protected by a limited lifetime warranty that also includes free resizing, cleaning, and polishing. Join one of the largest student organizations on campus, the Student Alumni Association (SAA). Members enjoy benefits, including networking opportunities with alumni professionals. Join Now!